As we start this month, I’d like to ask you a question. How will you love your heart this month? Personally, I’m going to try to be more active and focus on eating a heart-healthy diet. I plan to walk more each day and find ways to squeeze more steps in during my breaks at work and in my downtime. I’m also working on making dietary changes due to my recent gastroparesis diagnosis and those changes are sure to have the added benefit of being good for my heart as well. 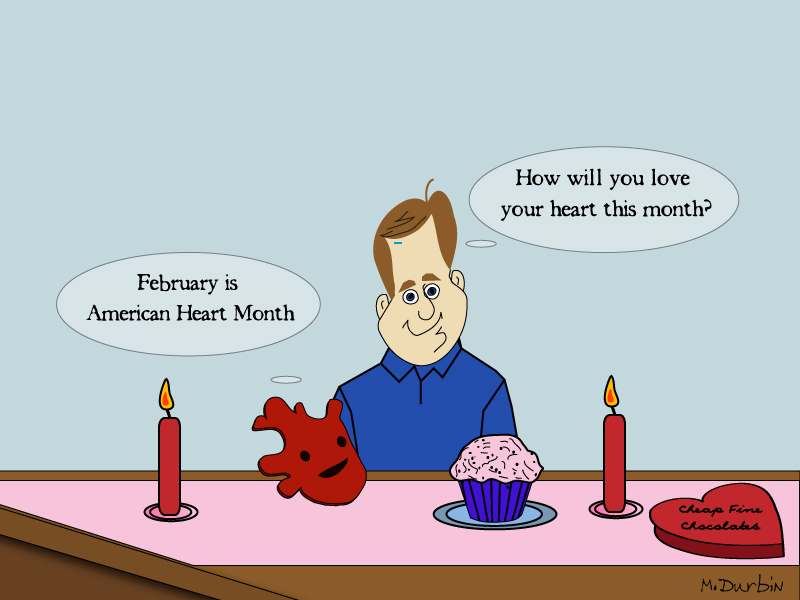 So, I ask again, how will you love your heart this month? Tell me in the comments below. Cheers! You are the perfect person to remind us that February is heart month. Thanks, Rick! I hope you’re well.